In my last couple posts I’ve mentioned a big Luau party my family has the pleasure of attending every year. 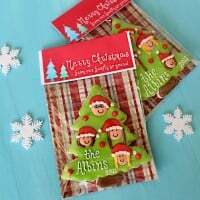 For almost 10 years we have enjoyed friendship with a family that is not only kind, generous, and talented… but they know how to throw an amazing party! The decorations and elaborate preparations that go into the Lange Luau are always stunning! 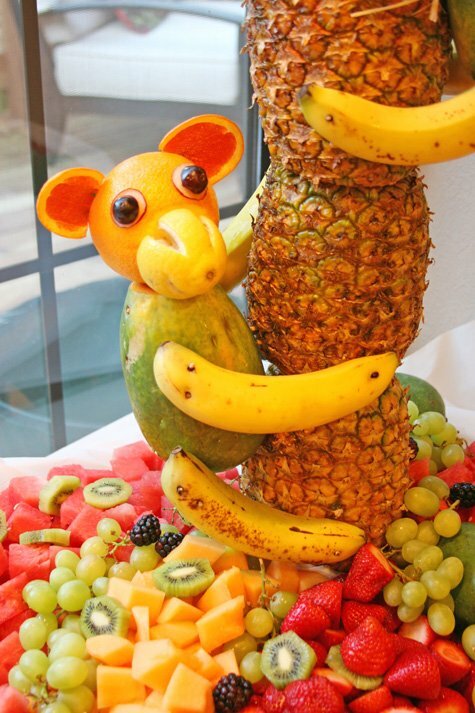 This year, Shelly (the party hostess), added a new showstopper… an amazing fruit display with a tall pineapple ‘tree’, adorned by the most adorable fruit monkeys! Shelly saw a tree like this on a recent cruise and took a photo. Then she got to work and re-created it just for her party guests to enjoy! To assemble this beautiful display, Shelly enlisted her handy hubby (Steve) to make a metal base, with a thin metal pole to skewer the pineapples onto. This was the main support structure. Alternatively, a wooden dowel, secured into a base would work as a support too. The pineapple “tower” will be quite heavy. Make sure the base is nice and wide. The base could also be clamped to the table for added support. Once the pineapples were stacked (skewered onto the pole), then the work of attaching the pineapple tops (the tree “leaves”), as well as the kiwi “coconuts” began. All of the fruit and tops were secured with bamboo skewers. For the monkeys, Shelly assembled the head (made of an orange, orange slice ears, lemon mouth, radish slice and 1/2 of a grape for eyes), and used bamboo skewers to attach it to the body (a papaya). Then, with some help from friends, the monkey’s body is held in place on the tree trunk, while bananas were added as arms and legs. One of the monkey’s got a few girly upgrades… eyelashes and lipstick (drawn with a marker), raffia “hair”, and a little flower lei. 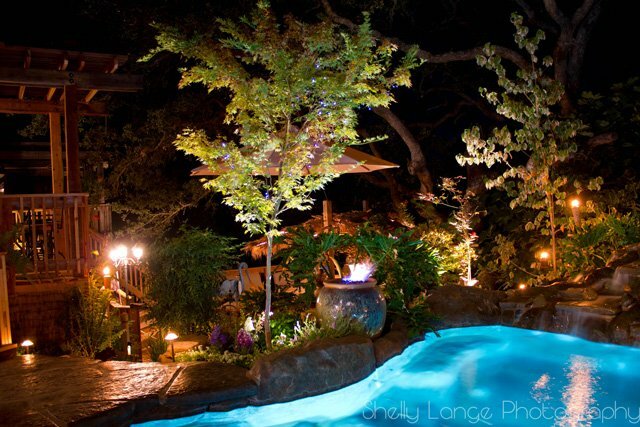 As a little bonus to the fun fruit centerpiece, Shelly is allowing me to share a few images of her gorgeous yard. 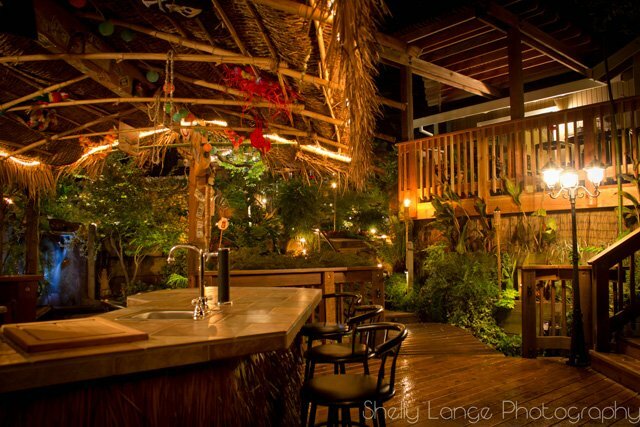 For more photos of this incredible yard, you can see my 2010 Luau Party post. 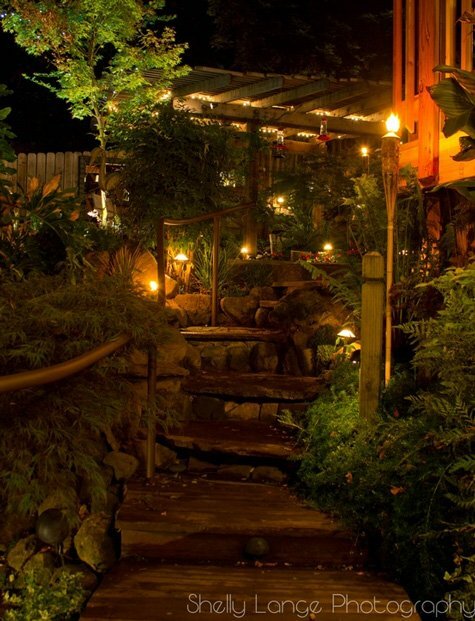 The yearly Luau party is held a hill side back yard, which is divided into layers with several beautiful decks and patios. The yard has been designed, landscaped and built into the showpiece it is today by the homeowners, Steve and Shelly. Every square inch of the limited space has been beautifully though out and put to use. Now, who’s ready for a Luau? I love those fruit monkeys, Especially the girl fruit monkey with the lipstick on. So adorable. Everything looks wonderful. so fun, and I love that back yard! Wow, that is amazing….what a party showstopper! Amazing………..to say the least !!!!! This is gorgeous and fun! I can imagine the conversations that centered around this centerpiece. WOW!!! This is just SO SO fun!! Shelly really did a fabulous centerpiece. SO creative. I even had to show my husband. She is AMAZING! Love it! Thanks for sharing all these fab photos. haha look at those little monkeys!!! Oh nice! C’est trop mignon!! It’s so cute! J’aime beaucoup!!! Bravo! I am in love with that Monkey Tree…how cute! OMG…just had a luau party for my 8yr old….makes me want to do it again with this monkey tree!!!!! I was all aflutter over that pineapple tree…then I saw the backyard. Seriously Jonesing that landscaping. Gorgeous photography too! Oh. My. Goodness!!! Those monkeys are SOO stinking adorable!!! What a crazy amount of work, but SUCH a fun idea!! Shelly, may I ask how you put the monkeys together doing a luau themed grad party for my daughter from HS. And son from college. Thanks in advance. My duaghter and I love the girl monkey, so cute. I see a Luau party for a 7 year old in the future. No coconut bras though! LOL Thanks for sharing! Love this! It makes me think of the cruises we have been on. They have these types of sculptures on board ship and more. I have taken many a picture of them. I have seen flowers, all kinds of animals and everything else imaginable. Thank you for the smile you put on my face today. Love the monkeys & your gardens absolutely beautiful! 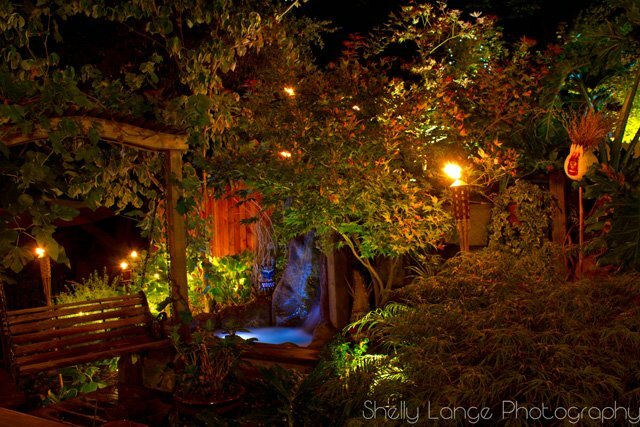 What a beautiful yard Shelly has..I would add a hammock and never leave the back yard..lol I also love this blog. 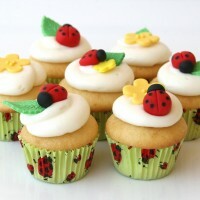 I am a beginner in cupcakes and decorating and I have learned so much from this page! Thank you for taking the time to put step by step directions on here. It has helped me enormously!! Thanks again for your beautiful posts and great ideas! FANTÁSTICO! AMEI! LINDO! PARABÉNS, QUE DEUS conserve essas mãos abençoadas. Trabalho belíssimo. Se me permite, vou tentar fazer um desses(árvore ou coqueiro feito de abacaxi). Se eu conseguir enviarei uma foto para você. Desde já agradeço pela atenção, um forte abraço e fique com DEUS. Very cool idea! Love the backyard too! shelly.. I need your help!!! I loved your monkey fruit tree so much I am making it for a monkey themed baby shower.. I can not for the life of me figure out how to make a base.. Ive looked at wooded dowels (had never heard of them b4 lol) can you please email me directly and tell me exactly how your husband made the stand/base!! Jennifer5277@gmail.com help! The showers a few weeks away! This is hilarious, so cute! 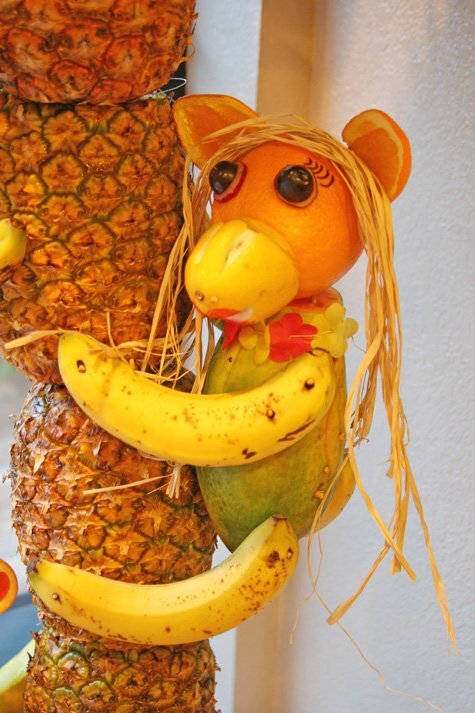 A fruit monkey and palm tree! 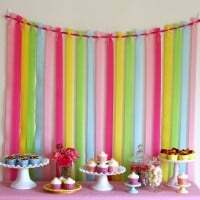 Would love to make this for a summer party. bonita decoração pretendo receber informações de outras e como fazer se eu puder usar fazendo em festas familiar, obrigado por essa ter sido publicado. my niece wants me to male a pineapple palm tree for her wedding reception. Question do you cut out all the meat? or just just cut enough out of center to put post through? Do I need to put skewers to hold pineapples together> She is having post with base and a tray made to put more fruit on. OMG!!!!!!!! AMAZING!!!!!!!! ABSOLUTELY LOVE IT!!!! 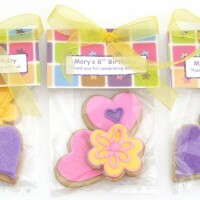 I am making one for my granddaughters birthday. She has a monkey theme!!!!! how very cool!!! I also wonder if you take out some of the pineapple meat before assembling!!!! Thanks a ton!!! Hi I am making this decoration for a retirement party on saturday , My question is what are you using to hold the bananas in place ?? Thnak you for info. Everything is being held together by wooden (bamboo) skewers. 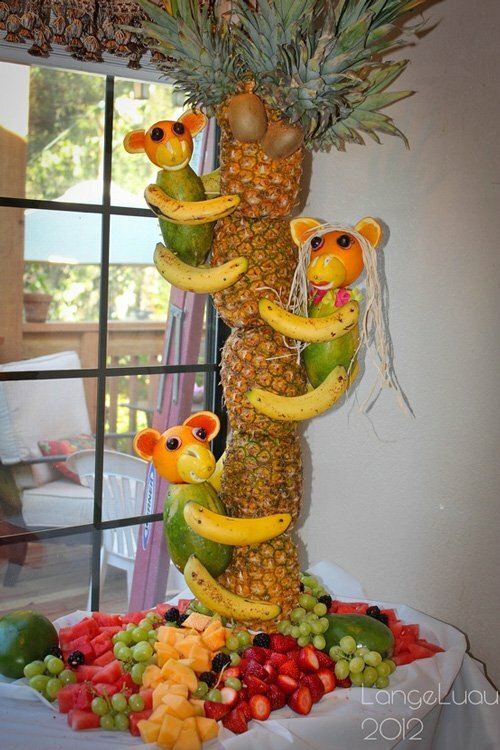 I am having a Luau graduation party for my daughter who just graduated high school and I am making this monkey pineapple tree, however, I am only going to try mastering one monkey. I can’t wait to see everyone’s reaction when they see it. Well I have jumped on board this bandwagon because I luv it… So I went to Home Depot and walked around trying to figured out the base and boom it hit me umbrella base and PVC PIPE it will not move at all. So when I make my creation I will truly share. So for those of you out there get that umbrella base + PVC pipe and use it. Love it ! Unique, Fun, Amazing Color and Edible. Thanks for sharing! How do you do the base and how do you keep the fruit cold? I love your luau layout. what are the dimensions for the stand pole your husband made for the monkey tree?